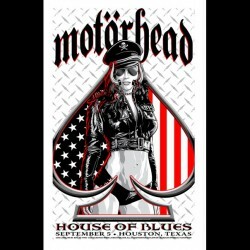 This is the Texas Variant of the Houston House of Blues Poster for Motorhead. Only 10 were made. Last Copies!